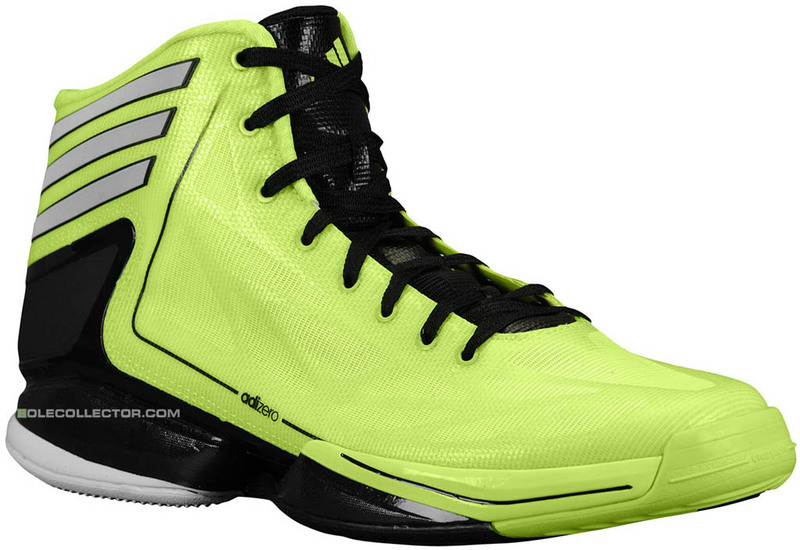 adidas adiZero Crazy Light 2 - "Baylor" / "Electricity"
Baylor's eye-catching kicks from the NCAA Tournament. One could make the case that no team scored more style points during the NCAA Tournament than the Baylor Bears, who made an Elite 8 run for the second time in three seasons wearing specially designed tourney uniforms, socks and sneakers. One of those sneakers was the upcoming adidas adiZero Crazy Light 2, which generated quite a bit of buzz within the sneaker community and sports media due to their brighter-than-ever on-court appearance. Since they hit the court, we've been asked by many if the "Baylor" Crazy Light 2 would be released, and the answer to that question is yes. 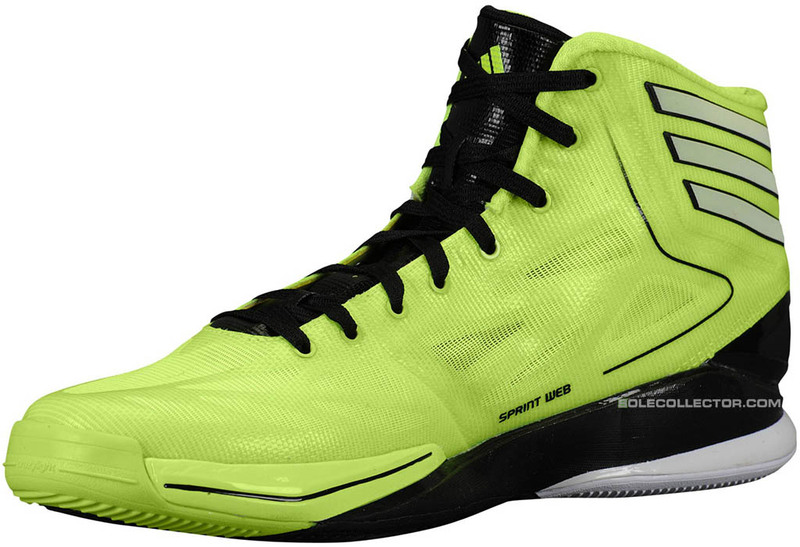 The "Baylor" Crazy Light 2 features a vibrant Electricity synthetic and mesh SPRINTWEB upper. Black works the tongue, adiZero pinline and SPRINTFRAME support chassis, while 3-Stripes wrap around the heel in what appears to be reflective material. 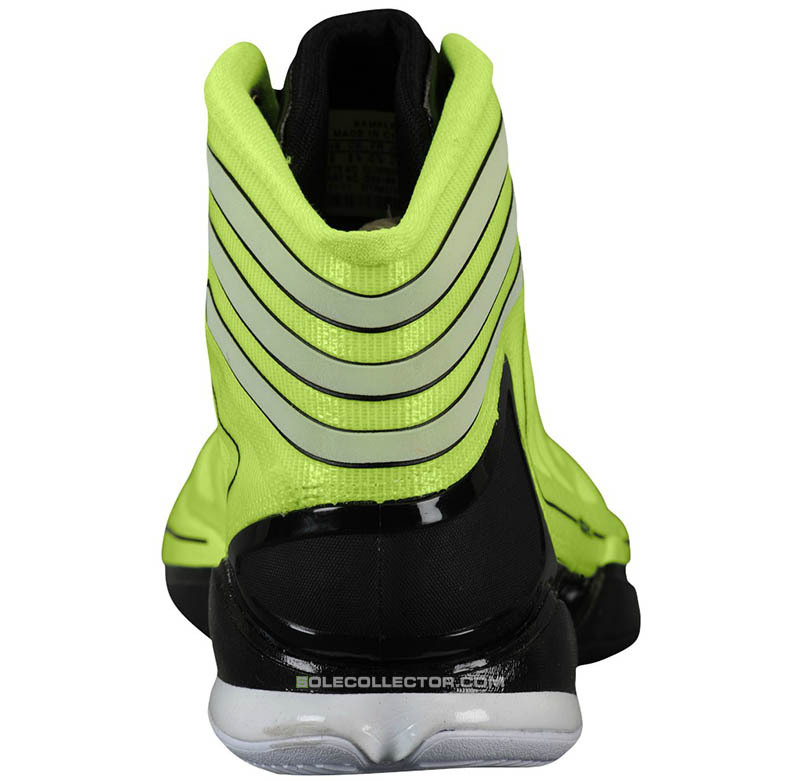 A black and white cilia-traction outsole caps off the look below. Look for this colorway to be part of the model's launch in May.